Why were these tools created? As a first point of contact for third-country nationals reaching the EU, the first-contact officials play a crucial role in guaranteeing effective access to international protection. 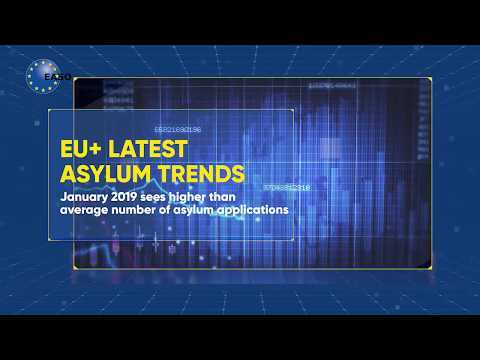 The main aim of these tools is to support them in fulfilling their obligations to ensure access to the asylum procedure for those who may be in need of international protection. The tools can help to identify persons who may wish to apply for protection and give guidance on follow-up assistance and procedural guarantees that should be provided to such persons (provision of information, registration, referral and other assistance and procedural guarantees). The tools were primarily developed for the first-contact officials at the borders or in detention facilities as specified in Article 6 APD recast, i.e. border guards (including coast guards), police, immigration authorities and personnel of detention facilities. Where can the tools be used? They are applicable in different border contexts, such as at external land borders, including green borders, at sea borders, in the transit zones of international airports as well as in detention facilities. The guide provides information about the core obligations of the first-contact officials, the rights of persons in need of international protection and information on the procedural guarantees and support that is provided in the first-contact context. The poster presents the ten main messages on Access to the Asylum Procedure. It can be displayed, for example, in the first-contact officials’ workplaces at the border-crossing points, at airports and in detention centres, and serve as a constant reference tool for first-contact officials. This tool features the core principles and main messages of the Practical Guide on Access to the Asylum Procedure in a small booklet suitable for operational purposes. It can be carried as a constant reminder of the core obligations of first-contact officials when dealing with persons who may wish to apply for international protection. This booklet provides quick access to relevant information about Access to the Asylum Procedure by posing direct questions that first-contact official may have. These tools were created by experts from Member States, facilitated by EASO and Frontex in close cooperation with FRA and UNHCR. Valuable input was also provided by the Reference Group, including the European Commission, UNHCR and the European Council on Refugees and Exiles (ECRE). The material was then validated by all Member States. It is a product of combined expertise, reflecting common standards and the shared objective of achieving high-quality asylum procedures. EASO and Frontex would like to thank Member States’ experts who participated in the working group on the development of these tools, as well as the Reference Group for their contribution and support.